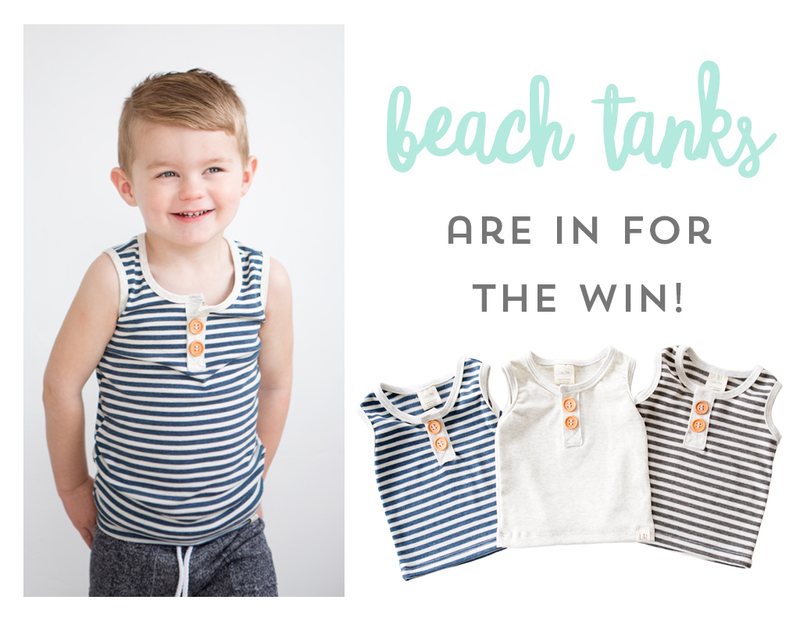 We are so excited to launch our new peplums and tanks over at our shop Lulu and Roo ! We have been working on these styles for the past couple of months and it has been so hard to keep them under wraps until our launch today because we love them SO much! We all love the sleeveless hoodies but we wanted to create some hoodless options that just scream warm weather. These styles are perfect for the beach and all your warm weather activities. Both top styles pair perfectly with our existing shorts and shorties so you can mix and match. Lets talk about these beach tanks for a minute! How cute are they? We decided to offer a hoodless sleeveless option because all of the numerous requests we were getting for one. We chose to use our lightweight rib knit fabric for these tanks to keep them lightweight and a little stretchy. 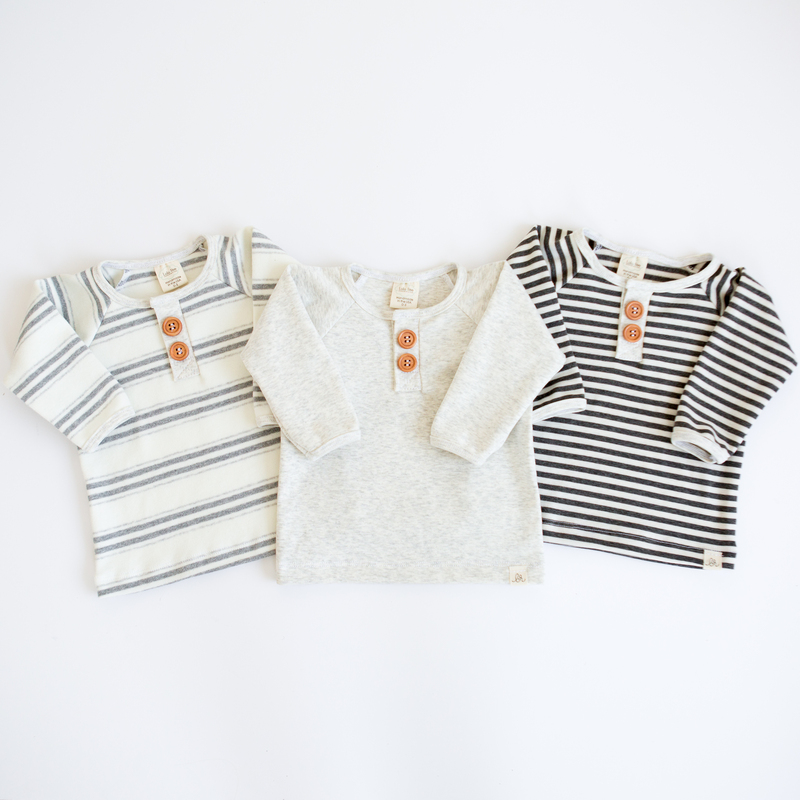 We also love the nautical vibe the stripes and the wood buttons give. 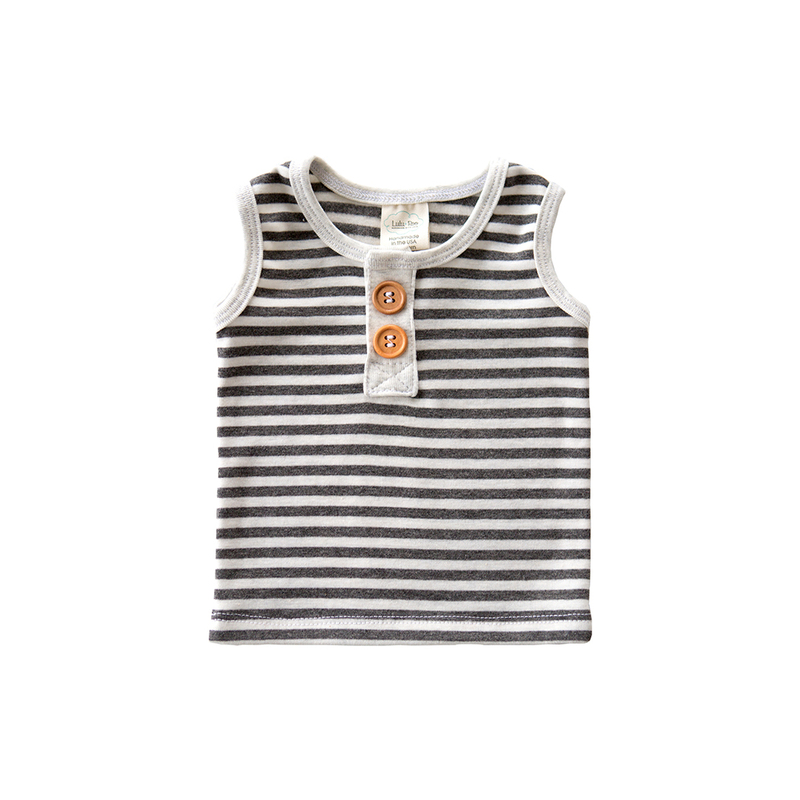 We also wanted to keep this tank gender neutral although it is aimed for boys, girls could pull it off just as well! Click on the images below to shop these tanks. Next up we have these adorable peplums! It just doesn’t get much sweeter! 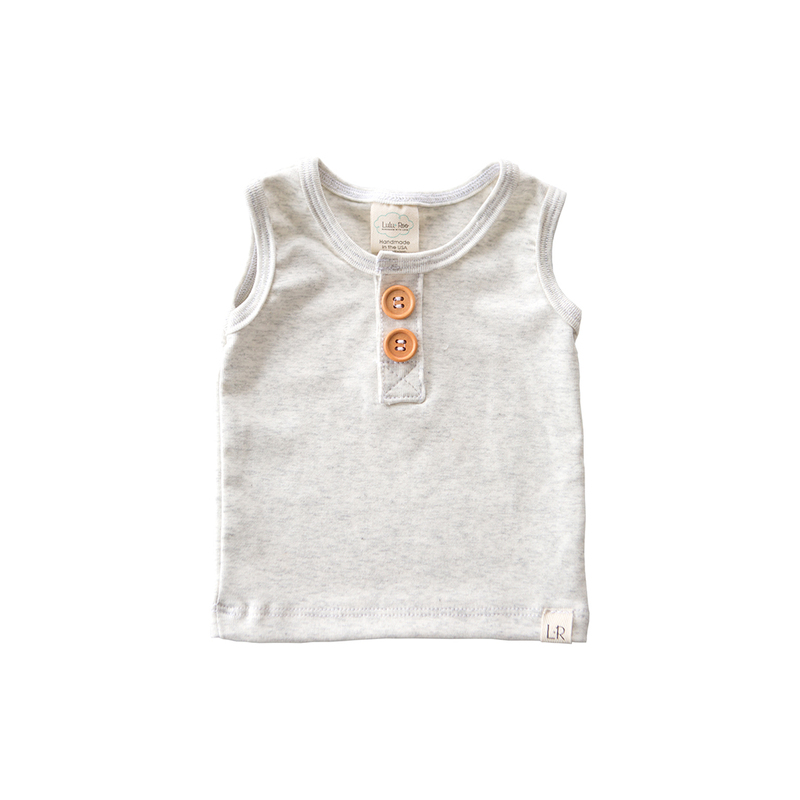 We just LOVE LOVE LOVE these sweet little tanks. They are super comfy and made out of our lightweight french terry which makes them breathable and durable. The high low peplum gives it a girly sweet look that we just can’t handle. Don’t miss out on our big sale we are having right now!! 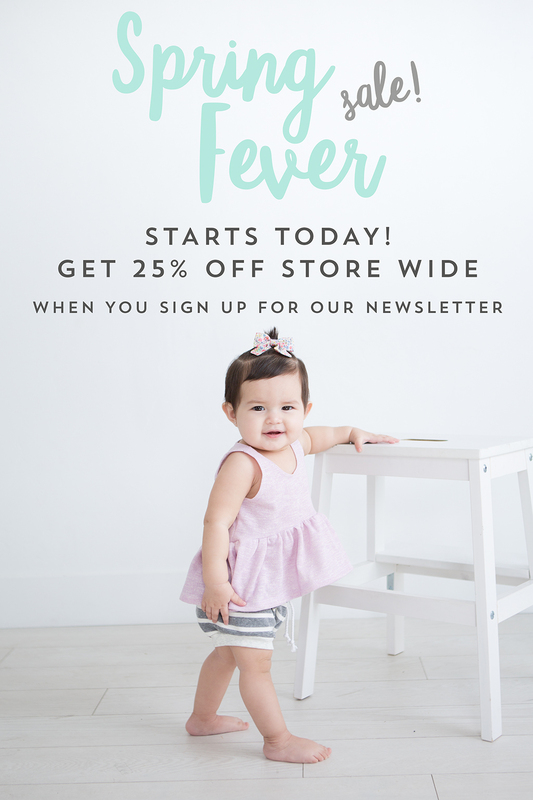 All you need to do is sign up for our newsletter below to get an email with a code for 25% store wide. As always let us know if you have any questions! 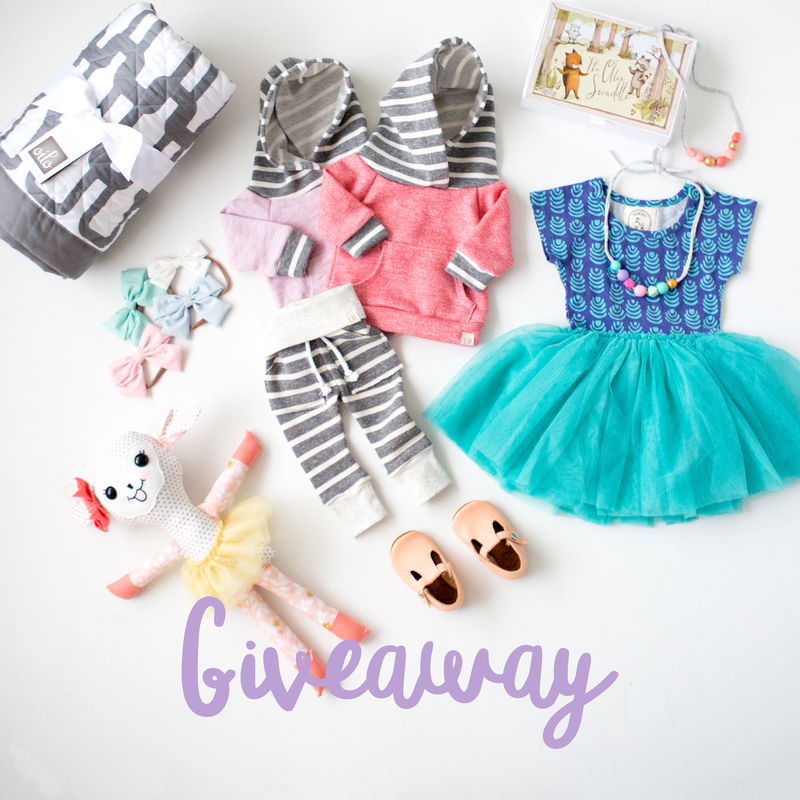 Baby Girl Spring Round up & giveaway! It is basically a white out blizzard today in Utah and it has us dreaming of spring! 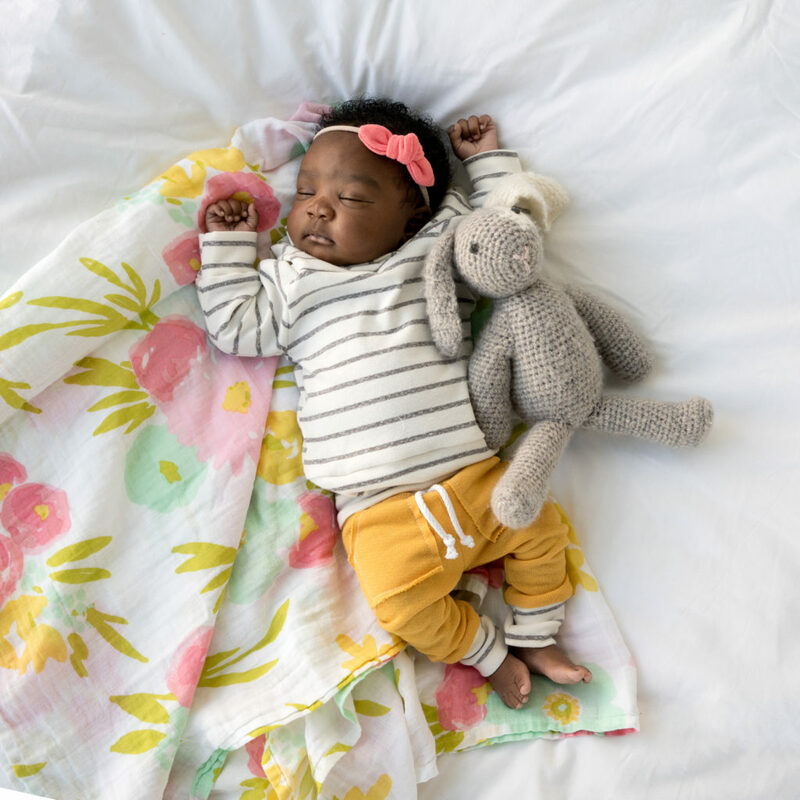 This sweet collection of our top baby girl picks are the perfect cure for winter blues. Every single item here gives me all the heart eyes and are a must if you have or are having a baby girl. These brands know how to do it right when it comes to quality and style and are top notch in our book. 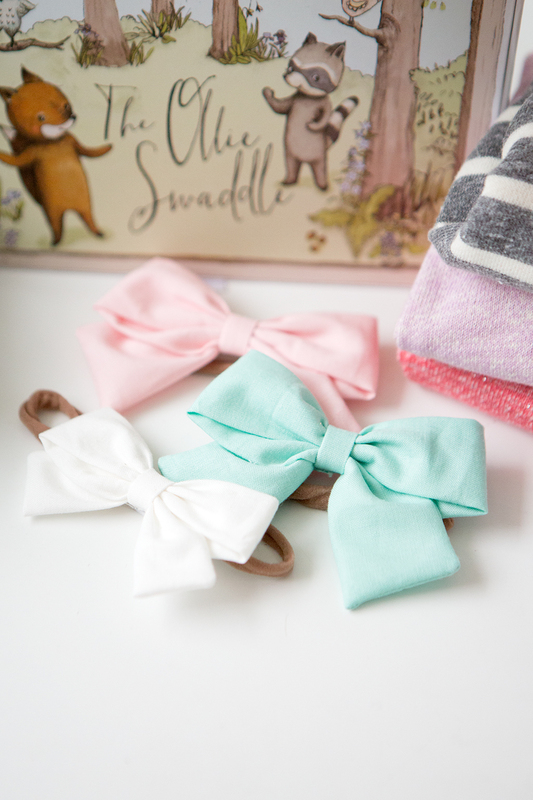 These bows from Bloomies Handmade are so adorable. If you have a girl then you know that you can never have too many bows and Bloomies will definitely help you add to your bow collection. With their adorable styles and collections you will be sure to find something in their shop that you just can’t live without. Almost nothing is more adorable than baby shoes! I mean come on! Can you even handle how cute these shoes are form Mon Petite Shoes? These soft sole easy on and off shoes are an absolute must for spring. We are also so in love with these necklaces from Coral and Cloud. These hand crafted necklaces are a little girls dream come true! Next up in our spring round up is Live Sweet Shop. We have always had a mild obsession with the dolls and whimsy gifts from this shop. You will not be disappointed in these big quality handmade creations. They have a wide verity of options from mermaids to bunnies. You will be seriously DYING over how sweet this shop really is. If you have a newborn or baby go visit Ollie World. 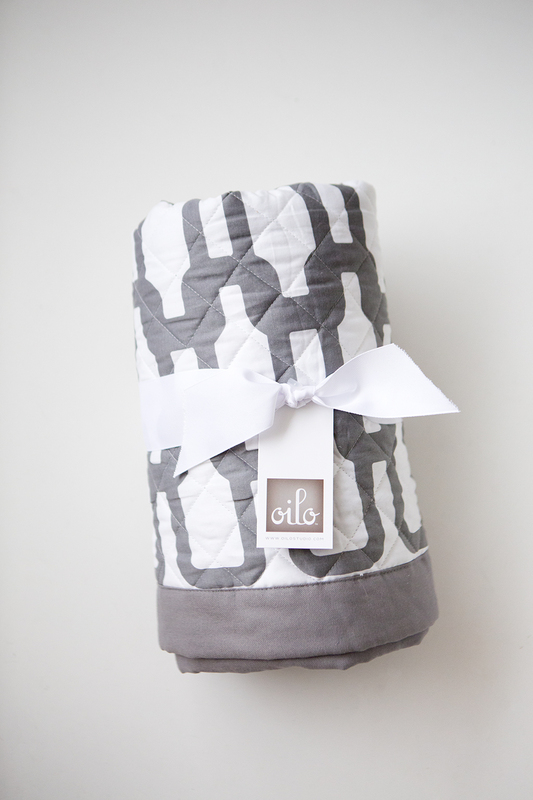 These swaddles are amazing! and make mommy life so much easier we just had to include them in our round up. These are a serious game changer for your little one so make sure you check them out! 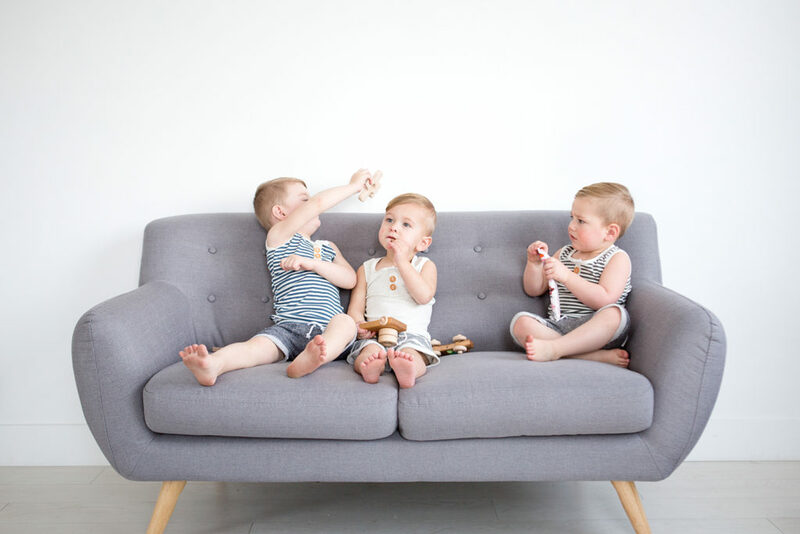 Olio Studio is our go to for Nursery decor. They have the cutest sheets and blankets. I have always found it hard to find cute crib bedding and this place has been the answer and now I just can’t get enough! And of course a Baby girl spring round up would not be complete without an outfit from Lulu and Roo!! 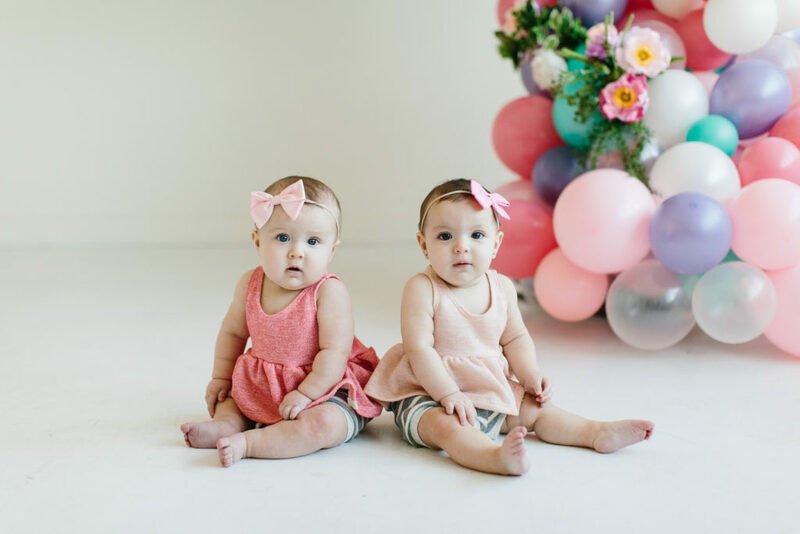 We have some pretty cute spring styles and colors that will keep baby stylish and comfy year round! Go check out our spring collection in our shop here! Do you like what you see? Well guess what? You can win it all!!! We have teamed up with all of these amazing shops for a huge giveaway. Go check out our Instagram @simplystitchedblog to enter! I definitely have full blown spring fever now! Thank you for taking the time to read through our baby girl spring round up. Good luck winning this amazing Giveaway! !